What does it mean to consume, why, and how does it fit into the system of capitalism based on monetary value as a trade currency, and why it feeds itself to potential undoing. 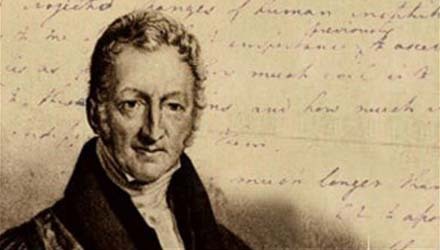 To start off – we need to look at Malthus and his theories. Thomas Robert Malthus was an English scholar who was most famous for the prediction of his theory of population growth. His theory of population growth, while straightforward, is chilling and foreseeable, especially since his life and death in the 18th century till now, we have seen his theories at work in some countries. However, he is commonly mistaken and quoted selectively on certain parts of his writing to be heralded as a doomsday author, as well as being used as a scare tactic. Get the gist? The summary of this whole series of writings was to identify and acknowledge that the population of a given area, in this case, a nation-state, would be constrained in its growth internally only by its ability to produce and feed its people. Other factors also come into play of course – such as wars, diseases and famine, but those are not related to patterns of consumption directly, and our modern pattern of consumerism today, so we will not be taking them into account. The second part states that this (law of population growth restrained by agricultural output) will happen naturally, through means we know, and means that we don’t. Just keep in mind this happened before the 18th century, and the industrial revolution, the internet, mass assembly lines and even WWII hasn’t happened yet. For many years, people dismissed Malthus’ theories due to increasing technological innovations and the green revolution which enabled countries to feed a lot more people suddenly. Now, the consumerist paradox is this – are we using so much to the point that we waste so many resources and the system is no longer sustainable. Are we heading ourselves towards starvation? A very simple example – In certain countries, cars are cheap, to the point where there is at least 1 car for every person who needs to drive. Now, since everyone has one car, and 8o% of the population needs to use the roads in the morning to get to work, the roads get so crowded to the point where it’s pointless to drive. The benefits of driving to work are now outweighed by cost of fuel used stuck in the jam, the time cost wasted in the jam, and due to the extremely long queues and jams, the health costs too, due to the air pollution. Because of this, people stop using cars to get to work – cars lie idle at home, and people take the bus, take bikes, walk, everything except using cars. Now, the car is a wasted asset, its value plunges. Due to this, car manufacturers go out of business, and other car-related industries and businesses take a hit in their profits and revenues. The money that was spent on purchasing the car could have been invested in better commute infrastructure that would last longer than the car. That is the consumerist paradox. Now, if you multiply this effect where society uses more than it needs, and resources are wasted – then both intrinsic and monetary value is wasted. Literally, we are wasting our resources and our money. And if resources are practically diminished to the point where producers cannot meet the demand, and eventually all of it is spent, all money will be worthless since it will not signify any value of any resource of commodity. On a global scale, what’s worse is that a lack of resources will lead to an economic meltdown, which will then lead to consumers consuming less, or not having the ability to consume anymore. To summarize: if we really like to keep our consumer focused mentality and economy, we need to consume less as a society and waste less so that we can continue consuming!